OXFORD, Miss. – Continuing his legacy of support to the University of Mississippi, retired state Supreme Court Justice Reuben Anderson’s most recent gift will provide scholarships for full-time law students. 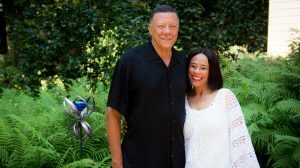 Since becoming the first African-American graduate of the UM School of Law in 1967, Anderson and his wife, Phyllis, have committed more than $200,000 to the law school, to the William Winter Institute for Racial Reconciliation and to the University of Mississippi Medical Center. “The law school gave me so much. If it wasn’t for the law school, I probably wouldn’t be a lawyer. The people I had contact with when I was there played a major role in my life and I want them to be remembered,” said Anderson, specifically naming Josh Morse, former law dean. Anderson is a senior partner at the Phelps Dunbar LLP law firm in Jackson. He attended Jackson public schools and earned a bachelor’s degree in history from Tougaloo College in 1964 before enrolling in law school. In 1967, he was admitted to the Mississippi State Bar. His professional experience includes serving as Mississippi associate counsel for the NAACP Legal Defense and Educational Fund Inc. in 1967-75; a partner with Anderson, Banks, Nichols & Stewart, 1968-77; municipal judge for the city of Jackson, 1975-77; county court judge for Hinds County, 1977-82; judge for the Seventh Circuit Court District of Mississippi, 1982-85; Mississippi Supreme Court justice, 1985-90; and the Jamie L. Whitten Chair of Law and Government at UM, fall 1995. Dean Susan Duncan said she is grateful for Anderson and other alumni and friends who choose to support the school. Anderson received a wealth of recognitions throughout his legal career. Among others, he is the first African-American to serve on the Mississippi Supreme Court and the first African-American president of the Mississippi Bar, and is listed in The Best Lawyers in America. He was inducted into the National Bar Association Hall of Fame in 2009, the UM School of Law Hall of Fame in 2011 and the Ole Miss Alumni Hall of Fame in 1995. He was presented the Mississippi Bar’s Lifetime Achievement Award in 2007 and is the namesake for the Reuben V. Anderson Pre-Law Society at Tougaloo College. He also provided leadership as president of the state Chamber of Commerce in 2001 and as a member of the UM Foundation board of directors. Anderson has served on the boards of directors of AT&T in Dallas; The Kroger Co. of Cincinnati; MINACT Inc. and Trustmark National Bank, both in Jackson; Mississippi Chemical of Yazoo City; Burlington Resources of Houston, Texas; and BellSouth in Atlanta. Anderson is a member of the 100 Black Men of Jackson and the U.S. Supreme Court, the American, Mississippi, Hinds County, Magnolia, National and U.S. Fifth Circuit Court of Appeals bar associations. The Andersons have three children – Vincent, Raina and Rosalyn – and two grandchildren, James and Anderson. Individuals and organizations may make gifts to the Reuben V. Anderson Law Scholarship Endowment by mailing a check with the designation noted in the memo line to the University of Mississippi Foundation, 406 University Ave., Oxford, MS 38655; visiting https://www.umfoundation.com/makeagift/ or contacting Suzette Matthews at 601-937-1497 or suzette@olemiss.edu.